The Tatra Type 87 was a Czechoslovakian mid-class saloon car manufactured by Tatra between 1936 and 1950. It was powered by a 2.9 litre air cooled overhead cam V8 engine capable of 100 miles per hour. 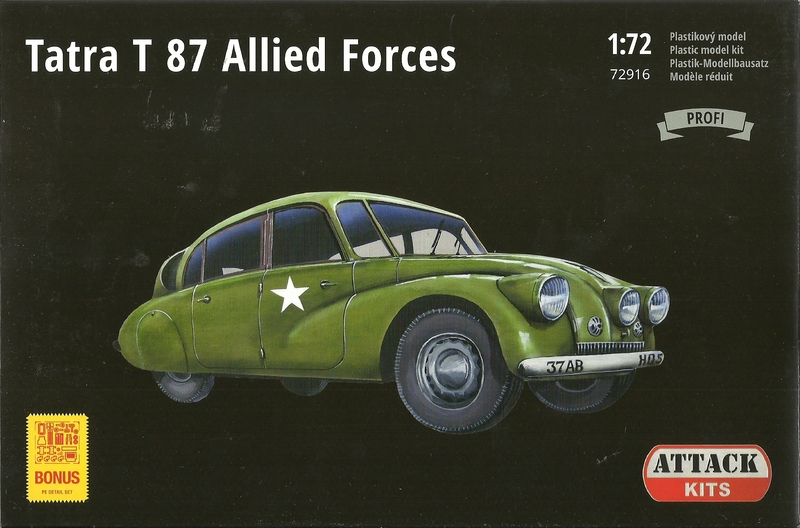 This kit depicts a Tatra T-87 captured and pressed into service as an Allied staff car.